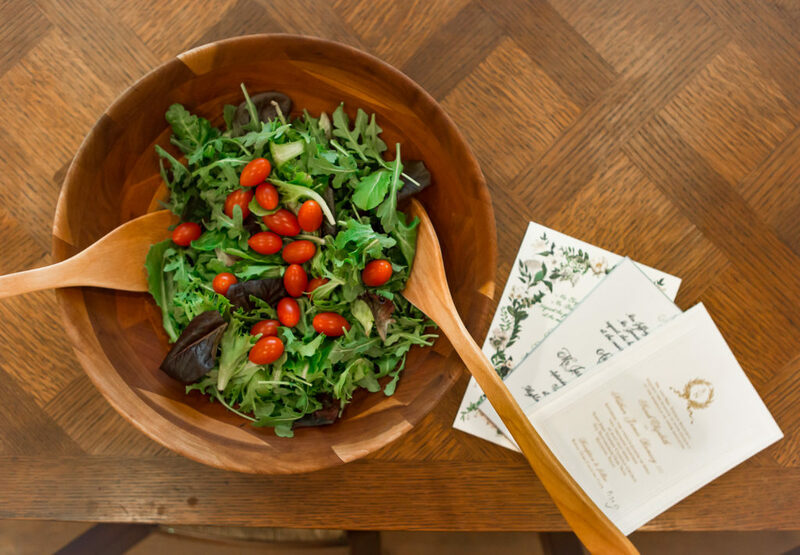 My Favorite Wedding Shower Gifts plus a Salad Recipe - Fashionomics "every page"
It’s wedding season and such an exciting time of year. I love celebrating all of these young people and weddings are so much fun. Bill and I love a destination wedding because we get to spend some time with friends and family without the distractions and duties of being at home. Yes, I know you are always supposed to buy something from the bride’s registry. My girls always tell me NOT to go off the registry and get some random gift that I like. Well….. I try to follow the rules but I do have one favorite gift that I tend to give – no matter what. 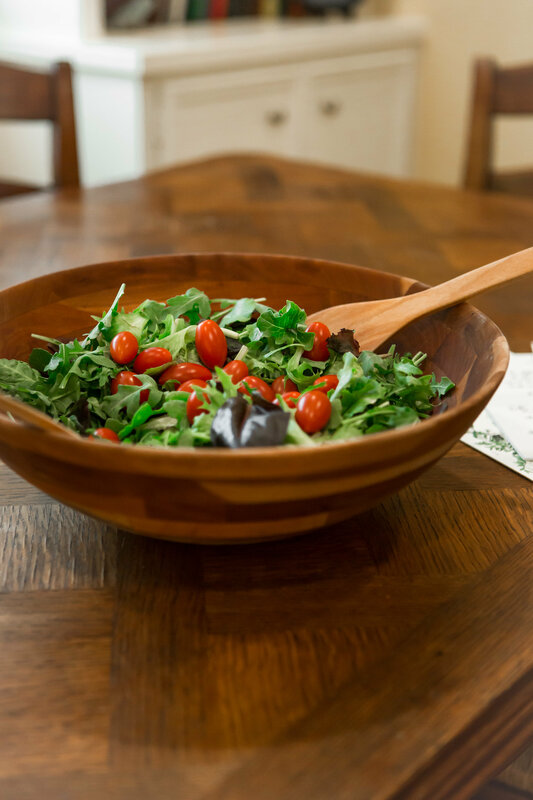 I received this wooden salad bowl from Williams Sonoma when Bill and I got married 12 years ago (May 28 anniversary!!) and I use it almost every day. 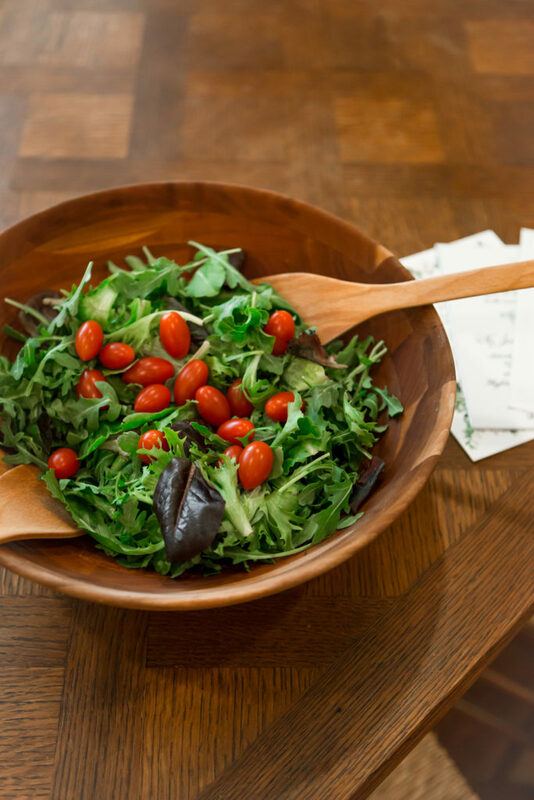 I love to make salads and this bowl is wide or shallow and easy to toss. It is made from olive wood and all you have to do is coat it with olive oil every once in a while to keep the wood in shape. I do wash it with soap and water even though maybe you are not supposed to!! There are a lot of other gifts I like to give in addition to this fabulous salad bowl!! I like to give something meaningful and so I do try to look at the registry carefully. I know how much time the girls and sometimes guys spend on these registries. It is overwhelming and time consuming. I like Williams Sonoma, Pottery Barn, Crate and Barrel, Sur la Table, I admit Bed Bath and Beyond is little overwhelming but I can manage it online (and you can use a coupon). There is a local store here, the Ivy House that has such beautiful things and such personal service. I love to shop there for a wedding gift on the registry, of course. I guess I am a little old school and feel like the wedding gift should be china or crystal from Neiman Marcus!! I don’t usually go to Target for a wedding gift but I love this toaster oven!! It is a toaster and oven (literally) and saves space. Actually it’s a great graduation gift. If you look closely you can see it behind me on the counter. 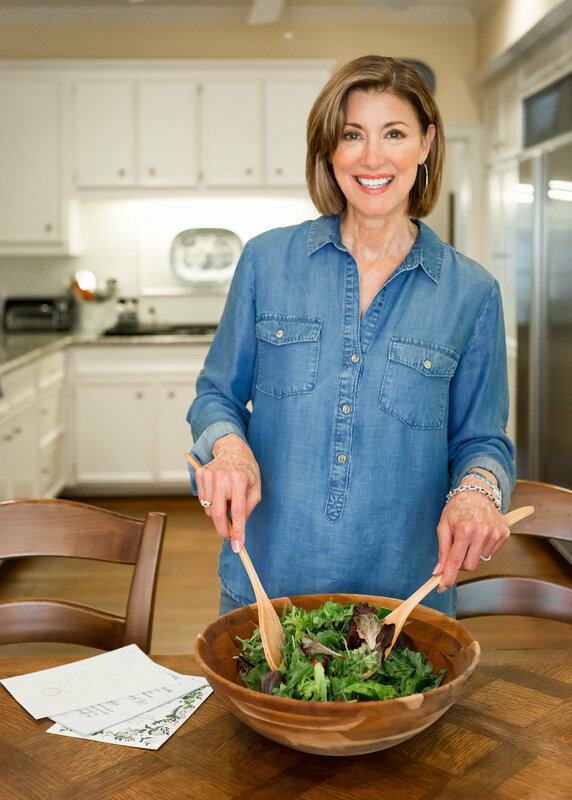 I know you are probably sick of a million pictures of me pretending to toss a salad! What can I say, that’s the best I could do on this post short of dragging everything out of my kitchen; like my Vita Mix, fave cookie sheets, best ever kitchen towels and mits, soap and lotion. And yes, most of the things I love and give for gifts are from Williams Sonoma, next would be Crate and Barrel I think. I actually have a couple of sets of nesting bowls, one glass (these are another off registry fave) and one set stainless, that I am still using from my first marriage!! haha I swear by these Goldtouch non stick baking pieces from Williams Sonoma. The mini muffin tins are my absolute favorite. I hate to admit this but my girls talked me into registering when Bill and I got married in 2006. It was embarrassing but kind of fun to get some new stuff!!! I always say that we should all get to have a mid life shower to freshen up the kitchen and bath items. 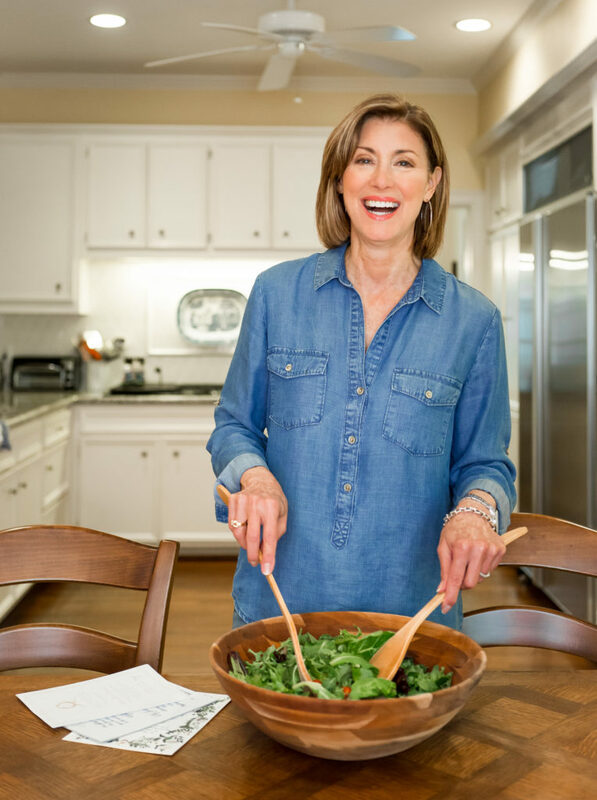 I do like to personalize things sometimes so if I am organized enough I like to include a tried and true recipe with the gift. I also really like it if the store wraps. My least favorite wrap is Bed Bath and Beyond. But the girls don’t seem to care, they just want the gifts they picked out. for Mother’s Day I actually asked for some monogrammed napkins from Pottery Barn. Monograms are always fun on towels or bar items. I love your photos, you look as beautiful tossing a salad as you do wearing an Designer outfit! 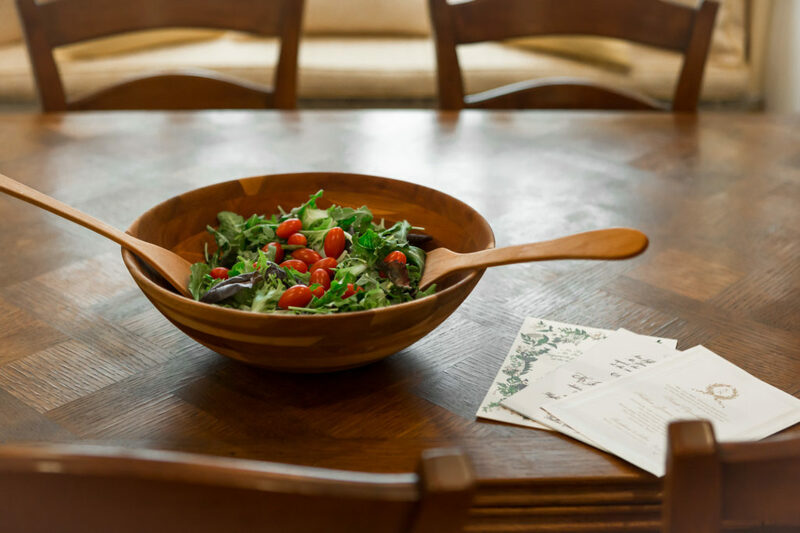 I love the wooden bowl, I have one and my new roommate has a very large one passed down from his Mom. They are invaluable and make a great gift! Fun blog with all the wedding suggestions! And your salad looks really good. I will be trying that one! 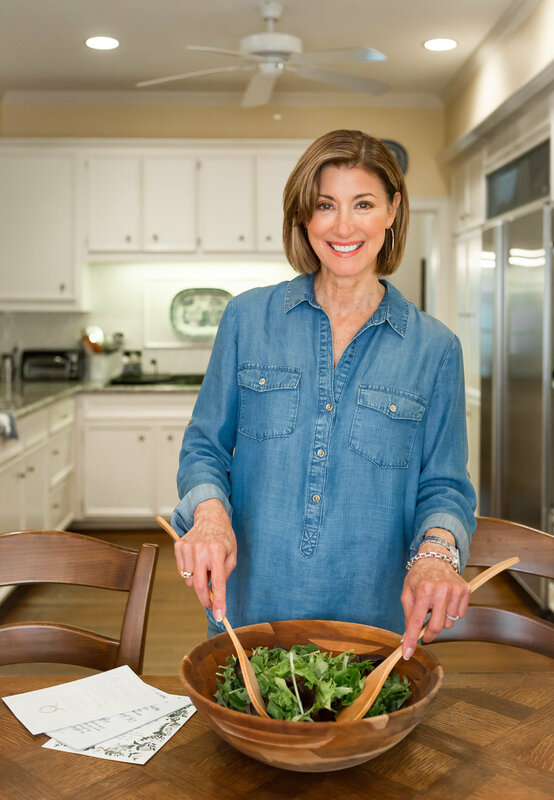 And of course, your classic denim shirt is perfect for stylish cooking! You are so beautiful and so warm and gracious, too! Love your blogs and posts. Always learn so much!! You are beautiful and that bowl is beautiful but don’t start a cooking blog! That salad is the most uninspiring, unimaginative looking salad I have ever seen!